What Is Your Favorite Marvel Version of a DC Character? There are two universes out there: Marvel and DC. They used to be found exclusively in comics, but now they live in movies, television, games and books. And you may have noticed some (ahem) similarities between their heroes and villains. Like Hawkeye and Green Arrow. 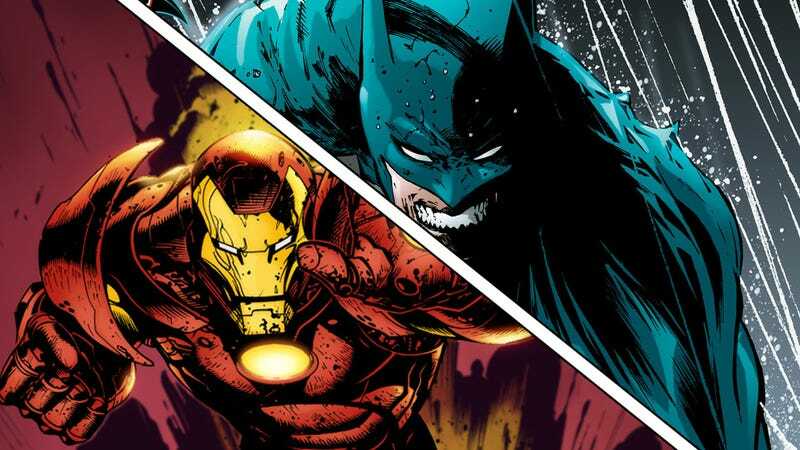 Or Iron Man and Batman. Which Marvel universe character is your favorite version of a DC character? Or, if you want to go the other way, which recent DC character is your favorite version of a Marvel one? I'm still trying to figure out who Marvel's Wonder Woman is. You could even go bigger and pick which Marvel team is the best version of a DC team (I'm gonna go with Avengers being a great version of Justice League). Tell us what you think in comments. Give us the names of the two characters, and explain why one is a version of the other. Pictures, links and clips would be nice too!